X4500LS - Buy ATV/UTV Winch Product on Ningbo Zhonghuang Machine & Electrics Co.,Ltd. 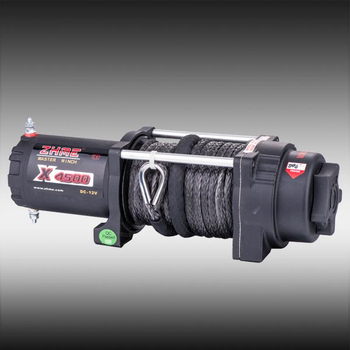 If you are riding on the edge and pushing the limits on a ATV or Side x Side,you need a winch that’ll keep up. Low current and high efficiency minimize battery drain. Water resistance o ring seal keeps the winch working well through water. 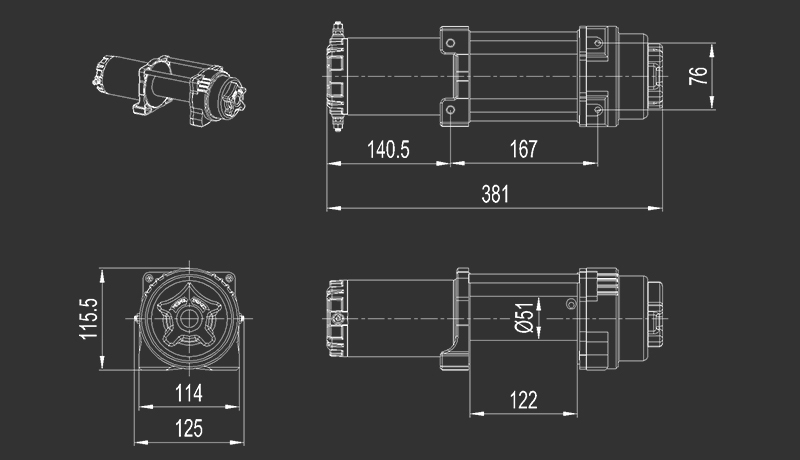 Patented matching drum and gear assembly ensures quiet operation. Stainless steel for strengthening threaded holes. 3 stage all metal gears for maximum strength. Large and easy operation clutch lever. 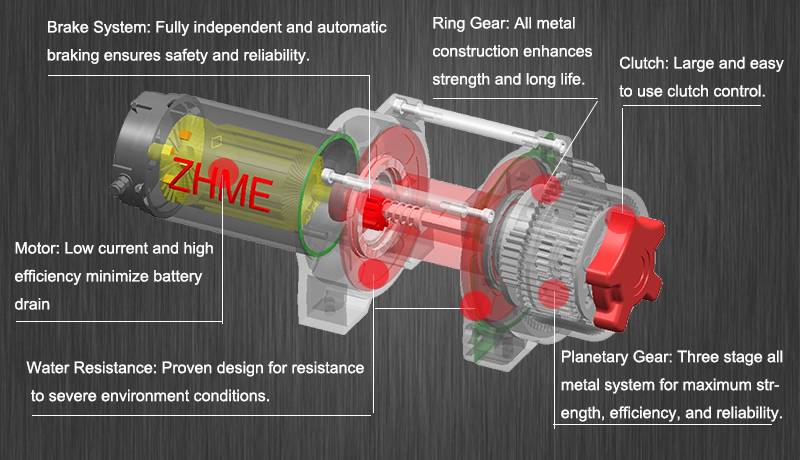 Independent Mechanical brake system .